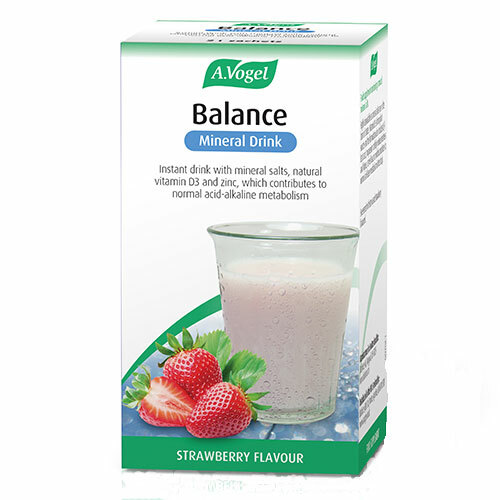 A Vogel Balance Mineral Drink with mineral salts, natural vitamin D3 and zinc, which contributes to normal acid-alkaline metabolism. Balance Mineral drink is highly absorbable as mineral salts are in the form of citrate. The Vitamin D3 is from plant sources and the formulation also includes L(+) Lactic acid and magnesium to help reduce tiredness and fatigue. It is sweetened with stevia and strawberry flavoured. One 5.5 g portion/stick per day. Open and pour into a glass containing 150 ml of water or milk, stir well and enjoy. 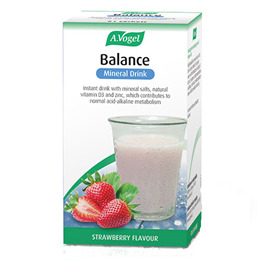 Below are reviews of A Vogel Balance Mineral Drink - 21 x 5.5g Sachets by bodykind customers. If you have tried this product we'd love to hear what you think so please leave a review. Excellent product. Does what it says on the tin and works a treat.